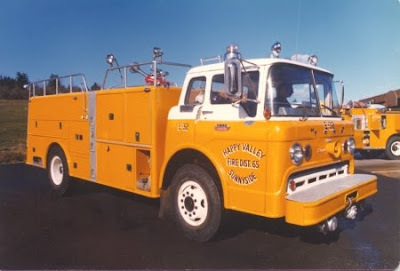 Just found the blog of fellow FirePics.net member and private fire engine owner Chuck, who picked up a beautiful 1972 Mack CF just before Christmas last year. You will now find his blog in the blogroll list to the right. 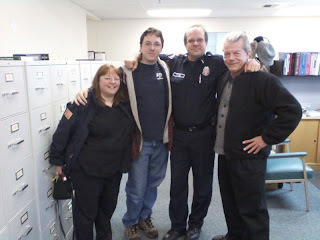 Nice to see I am not alone in the fire engine ownership blogosphere. Following that, I put in some time on some more concerted searching, and turned up three more related blogs. 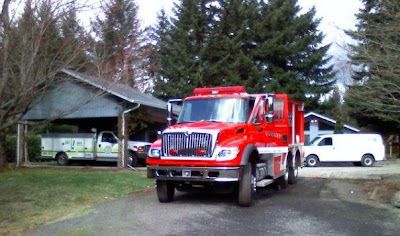 This one is about a very unique 1965 Ford/Wesco pumper that was in service not far at all from where I live today, and which has returned to the Pacific Northwest from a sojourn to Alaska. Additional information on Fire 32 can also be found here. 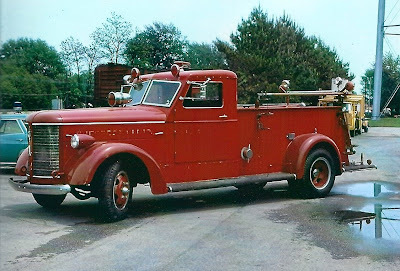 Next I turned up another American LaFrance, a 1954 Type 700 canopy cab pumper owned by Batesville AR from the day it was new until it was sold at auction in 2001. And after finding the CFD E33 story, I found it linked to yet another American LaFrance being restored, a 1941 Type 500 from Chesterton IN that is apparently good friends with CFD Engine 33. 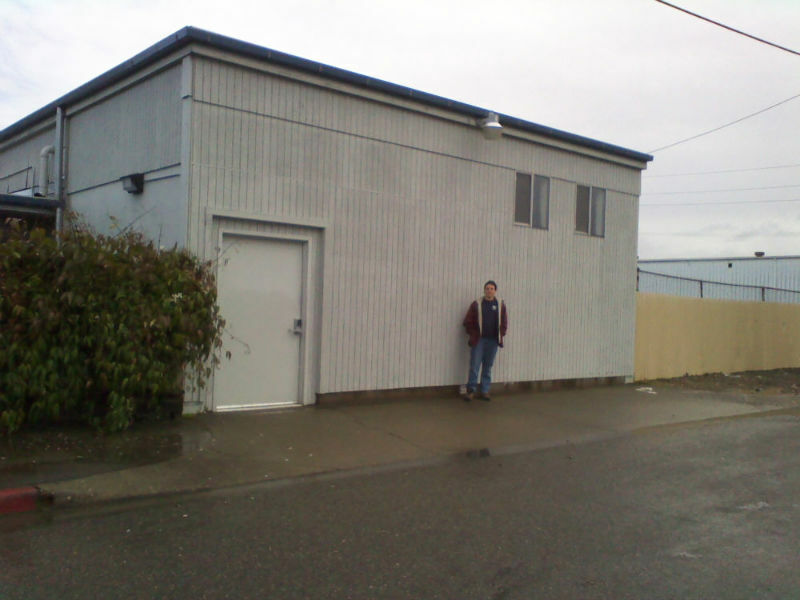 Tacoma Fire Department has invited all interested to attend the Housing Ceremony for the New Engine 10. The star of this blog, Engine 17, was Tacoma's Engine 10 at the time of her first retirement, in 1987. She was replaced by a lime-green 1987 Thibault pumper, which was (as far as I know) itself replaced at least once before 1996, when E10 then got the pumper that is being retired tomorrow (on the left below). 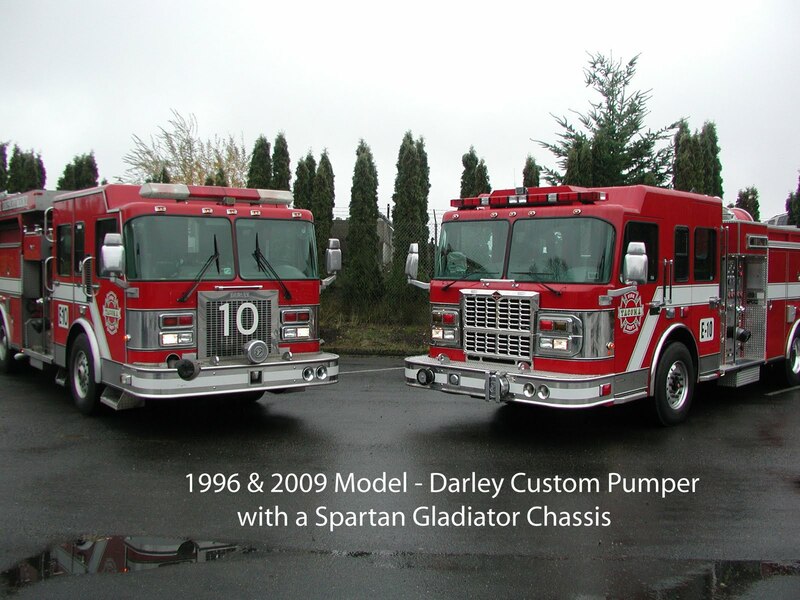 So Tacoma's new Engine 10 (on the right, above), will be (again, as far as I know) Tacoma's 4th E10 since the venerable American LaFrance was placed into reserve in 1987 and then sold in 1989. The new pumper looks great! If I had known about this event a little earlier, I would have tried to bring 17 for an appearance, but I doubt my work schedule would have allowed it anyway. Hope all who can attend have a good time. Chances are excellent that the gig will be interrupted at least once, though, as 10's is a very busy house! One of the other district units was up at Station 6 for a practice drill a few days ago, and the event highlighted the strange, warped perspective my young boys have adopted from living in a fire station. Tender 4 (Tanker 4 for those not on the left coast) arrived, driving past the large living room windows, in clear view of where the 3-year-old and 6-year-old were playing Wii Fit. The big, shiny red truck passed right through their field of vision, just six feet outside the windows, and they didn't even bat an eye. Kept right on playing. About twenty minutes later, a locksmith showed up for an appointment in his nondescript white van. Both boys dropped what they were doing and came outside to see what the white van was all about. Two little boys oblivious to a fire truck in their own driveway, but who get wound up when a plain white van pulls in? and the exciting locksmith van. That's just bizarre. I guess they've acclimated. On a slightly unrelated note, I apologize, but this slipped my mind when I discussed the other fire truck at my house. There is another vehicle owned by the fire district that lives at Station 6 where we live, but it only gets used seasonally, and even then gets virtually no public exposure whatsoever. It does have a warning light on it, and has unit ID markings. A strike against it is its nontraditional green color. 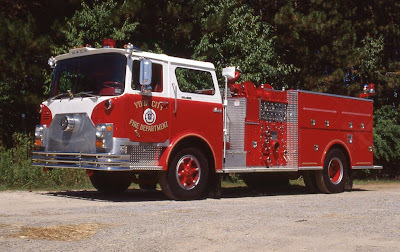 One of the things I like about it is its throwback open cab configuration, but it has a hard time getting up to any kind of respectable speed, and is a seriously rough ride. Sadly, it has virtually no storage space, and is really only good for one specific function. Lawn Mower 6 responds Code 2 to staff the Squad.